Over the last 7 days, the Greater New York Red Cross provided emergency assistance to 113 adults and 35 children following 39 local disasters. Here are some highlights from last week and a preview of upcoming activities (see below). Yesterday Red Cross volunteers supported the Travis 4th of July Parade on Staten Island. During Mosquito Awareness Week we teamed up with Mosquito Joe who donated 10% of their proceeds to the Red Cross. To kick off the holiday weekend, FOX 5's Good Day New York team hosted a pool segment featuring Red Cross certified lifeguard and water safety instructor Andy Slutsky. Andy discussed pool supervision, safety and hands-only CPR. On Friday we continued our Missing Maps partnership with JP Morgan Chase through which the financial institution's employees map vulnerable areas in Vietnam. On Thursday we posted a video on YouTube featuring Red Crosser Gabriela who talks about running in the upcoming NYC Marathon and why she chose to be a community advocate. We were chosen to host MBA interns through Inspiring Capital’s fellowship program this summer. One of the fellows working with us, Ben Bradley, posted on Wednesday about what he is doing with the Red Cross. Thanks to State Farm, our Disaster Cycle Services program in Greater NY received a $15,000 grant! Red Crossers responded to a fire in Hempstead, N.Y. on Tuesday and set up a Reception Center at a nearby community center for the affected families. 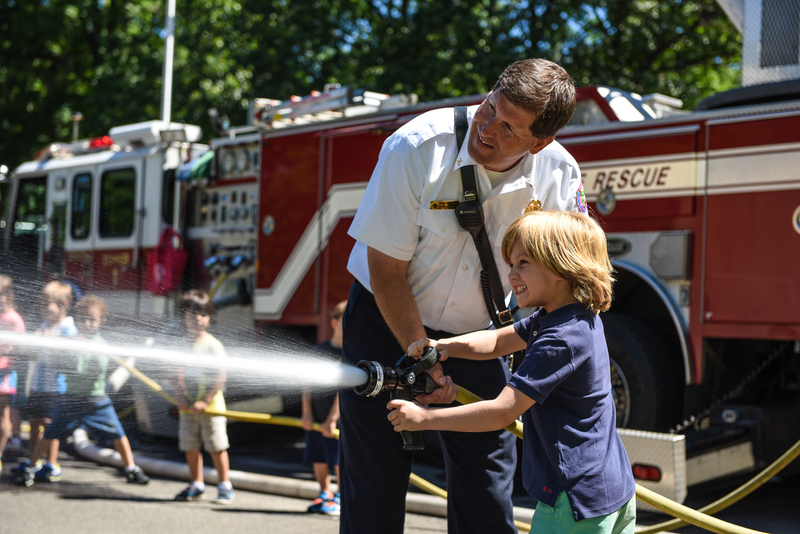 Earlier last month we held our annual Safety Town event in Greenwich, Safety Town is a safety education program for children who will be entering Kindergarten in the fall. The images from Safety Town are now up on our Flickr. On Monday a celebration was held for Jean Watkins at our Metro NY North headquarters in Greenwich. Jean has been volunteering with the Red Cross for 75 years! Thanks Jean! Calling all golf lovers! Barclays is looking for support at the PGA tour playoffs this summer from August 23-28 in Farmingdale, LI. Signing up gets you full admission to the tournament for you and a guest. Learn more about this great opportunity. Don't forget to select American Red Cross as your affiliation when you register! July 5, 6 & 11: Red Cross blood drive: 1 to 7pm: 520 West 49th Street, Manhattan. Schedule an appointment to donate today. June 25: #GetAlarmedNYC is coming to Wakefield, Bronx. Volunteer to help out, or sign up to get a free smoke alarm installed in your home.